Glimmering amber yellow, it expresses a wonderful bouquet consisting of apricot and peach notes, dried figs and honey, aromatic herbs and mineral notes. Intense and attractive, sunny and Mediterranean aromas, which open to an immense palate in terms of complexity, perfect in the fusion between sweetness, savouriness and smoothness. Very long, endless and melting. Served strictly at the end of a meal, "Ben Rye" is the perfect accompaniment for blue or very mature cheeses and foie gras. Also excellent with ricotta-based deserts and dry patisserie. 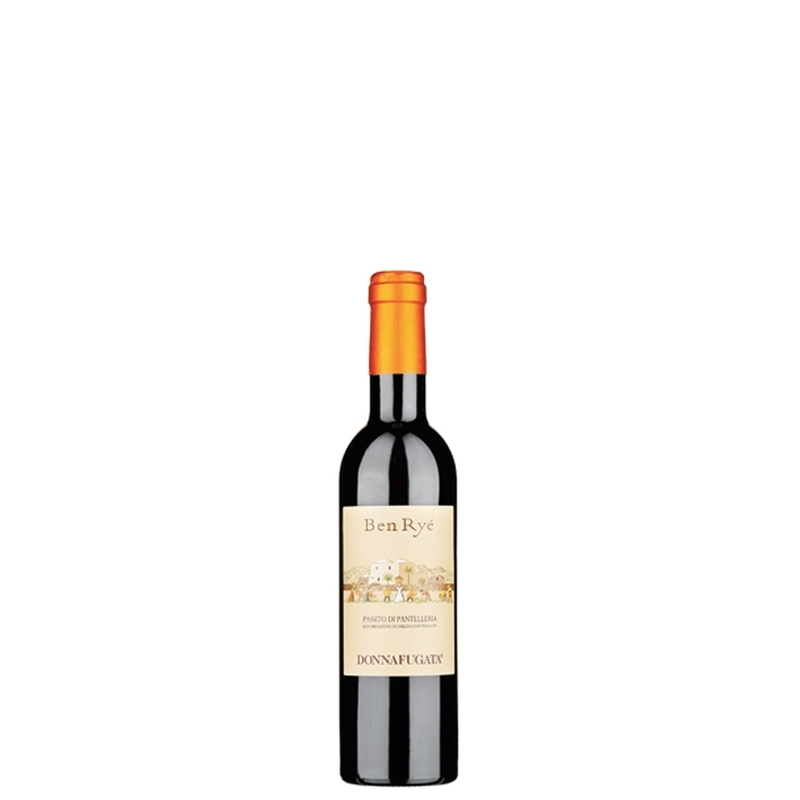 Synonymous with Passito di Pantelleria, “Ben Rye” is one of the most extraordinary Italian wines for meditation. Made from a meticulous selection of Zibibbo from eleven different contradas on the island, every year it confirms its vocation for excellence, thanks to a unique and inimitable relationship between sweetness and freshness. Harmonious, enveloping and perfect, Donnafugata's Passito di Pantelleria DOC "Ben Rye" is a sweet wine capable of very long ageing in the bottle. Emotions are guaranteed even many years down the line.